The West Coast in the Western Cape is synonymous with incredible food, lovable communities, tiny fishing boats, icy cold water, fields of flowers and idyllic scenery. 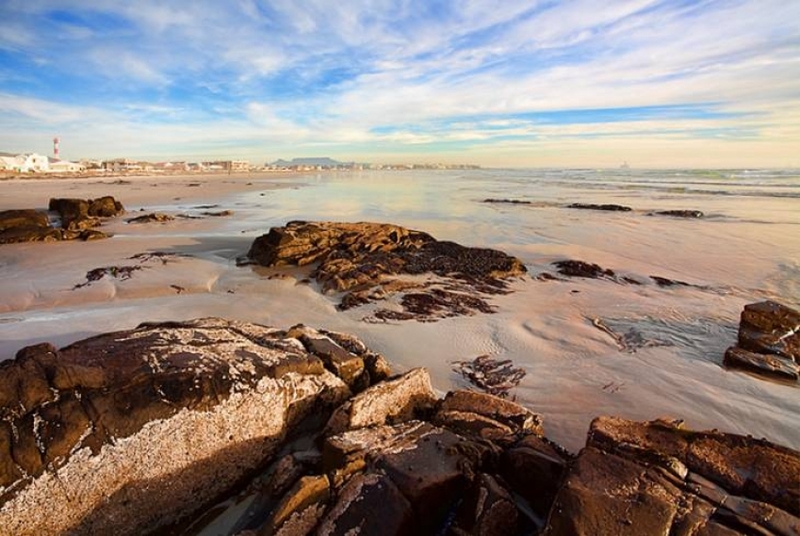 Even though Melkbosstrand is situated within the boundaries of the Cape Town Metropole, it is still far enough from the city centre’s hustle and bustle for a perfect getaway. It also has one of the best beaches and views of our wonder of the world Table Mountain. Be there on the first Saturday of the month between 09h00 and 15h00 for the Melkbosch Food Fair at the Melkbosch plaas or stop by the Farmyard Farm Stall any day of the week for homemade delights. 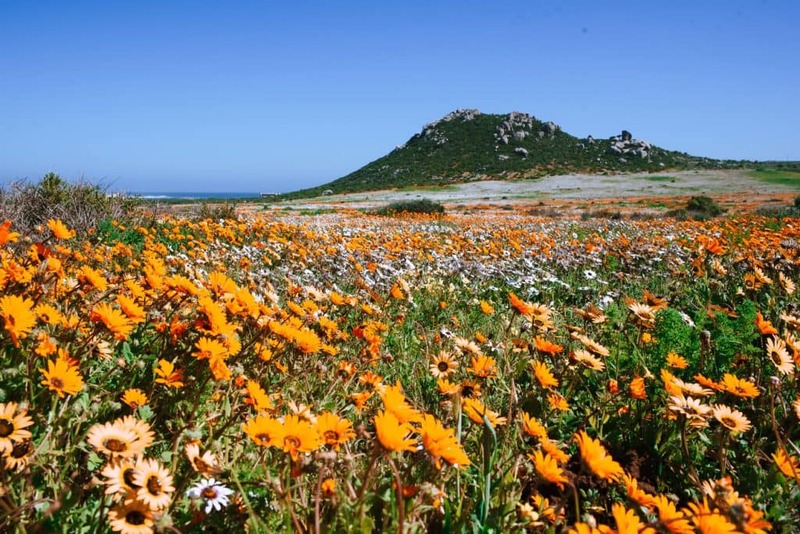 If you’re in the mood for exploring, go for a walk in the Koeberg Nature Reserve where you can marvel at the indigenous plant and animal life (including over 150 bird species, springbok, caracal, grey mongoose and many more) while learning more about the nearby Koeberg Power Plant, currently the only nuclear power plant in Africa. If you’re looking for an adrenaline rush then kite surfing is definitely worth a try. Once you’ve worked up an appetite stop by at Cafe Orca for a selection of fresh seafood and salads with a picture-perfect view. This small coastal town proudly boasts the longest stretch of uninterrupted coastline at 25km! Take advantage of this beautiful coast by walking or cycling it or getting into the water for a swim, surf or kite surf. The Schaapeiland Hiking Trail is a great way to see sights on foot and if you’re visiting between August and December, you might even spot a pod of Southern Right or Humpback whales. When hunger strikes, be sure to check out the legendary Strandkombuis. While you’re in this area you’ll have a unique opportunity to get to know the history of South Africa’s San people with a tour at !Khwa ttu San Culture and Education Centre. Guided tours are between 10h00 and 14h00 daily (R195 per person) and you can also stay at the centre which offers many interesting activities. The Langebaan Lagoon makes this town a particularly special place to visit for idyllic views and water sports like kitesurfing, kayaking, yachting, water skiing, stand-up-paddle boarding and fishing. It’s also not every day that you get to travel back five million years in time, which is what you’ll do at the West Coast Fossil Park. Stay over at Club Mykonos for a Greek-inspired getaway and stop for a braai or picnic at the lagoon at the nearby West Coast National Park. This park blooms into fields of flowers in springtime (from September until November), but is worth a visit for the fauna, flora and tranquillity year-round. For something out of the ordinary stop at Pancakes Galore or The Oyster Catcher or at the Farmhouse Hotel for their Sunday Roast. Housing one of the biggest exporting ports of iron ore on the continent, Saldanha is an industrial hotspot which also boasts a successful commercial fishing industry. Being closer to the desert region of Namaqualand provides a contrasting landscape, but it remains a paradise for watersport lovers and bird watchers like much of the rest of the West Coast. When you’re there be sure to check out the Hoedjeskoppie Nature Reserve and the panoramic view from the Adam & Eve rock formation. 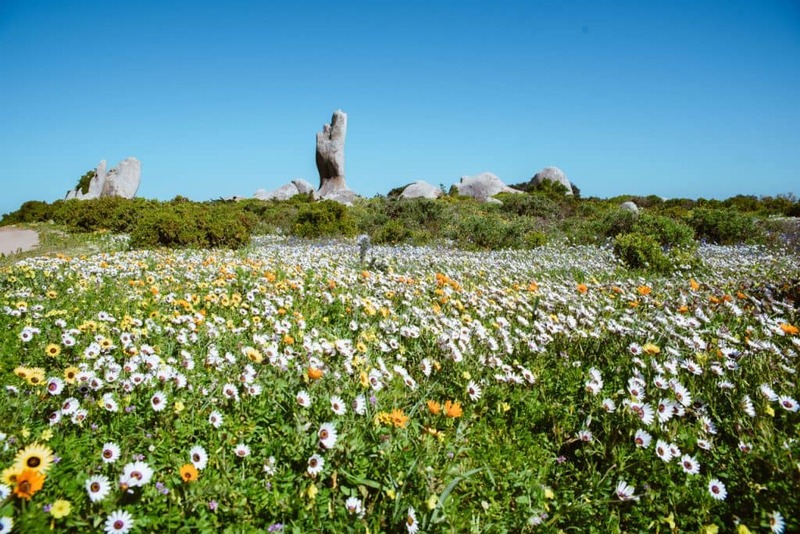 Appreciate the local fauna and flora or go mountain biking at the SAS Saldanha Nature Reserve and you might even be lucky enough to spot a whale during spring and winter. Stop by the Blue Bay Café for sundowners and pizza with a view, or something laid back at the local YachtportSA’s Café Marina. The Jacobsbaai Backpackers offers excellent accommodation with a great vibe and a new Pixie Village that will enchant any visitor. The self-catering Plot is unpretentious and the warm and welcoming hosts will make you feel right at home. Follow in the footsteps of artists, potters and poets when you soak up the natural beauty of the area at one of the seven little bays along the coast. The indigenous fynbos in the area is truly magnificent and stretches all the way to the beach. For a bite to eat, check out the unassuming Weskusplek. Explore the area on foot when you hike the Five Bay Trail, which is a life-changing two and a half day walk of 38km between Paternoster and Jacobsbaai or for a shorter walk try the 17km trail between Swartrietbaai and Tietiesbaai. One of the oldest fishing towns in the Western Cape, Paternoster is a little slice of paradise packed with surprises. From horse rides and picnics on the beach to Italian cooking courses and art studios visits, you’ll have tons to explore once you’ve had your walk on the beach. For an authentic West Coast foodie experience, visit Kobus van der Merwe’s Wolfgat or Oep ve Koep. Just 5km away you’ll enter the Cape Columbine Nature Reserve where you can hike, fish, bird-watch, dive, kayak and camp on the Tietiesbaai beach. Stop by a local icon when you visit the 15 metres tall Cape Columbine lighthouse for a pic and picnic and pop over to the nearby Seekombuis for fresh seafood from an old fishing boat turned dining table. Thanks to the nutrient rich waters, St.Helena Bay‘s nautical life is at the heart of this community. 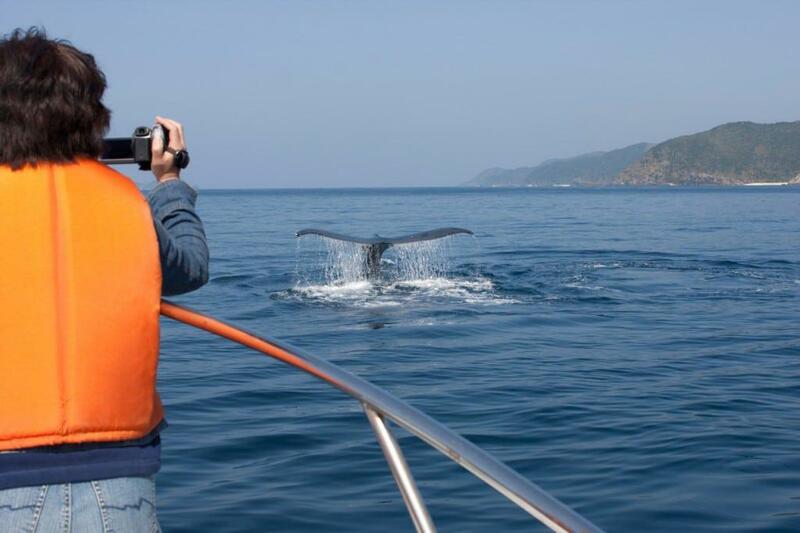 From the Southern Right whales that mate and calve here annually, to the fish that get caught and cleaned at the main harbour at Sandy Point, you’ll love meeting the locals. The nearby Cape St Martin Private Nature Reserve offers beautiful plant and animal life, while Shelly Point has a nautical museum to showcase the fascinating history of the area. This coastline stretches 31km, has 18 bays. Portuguese explorer Vasco da Gama landed here in 1497. Besides kayaking and surfing, you can also try your hand at the 9-hole Shelley Point Country Club. For seaside seafood and sundowners dine at Alegria Restaurant and for cake, coffee and easy-going fish and chips stop at the St Helena Nursery & Coffee Shop.